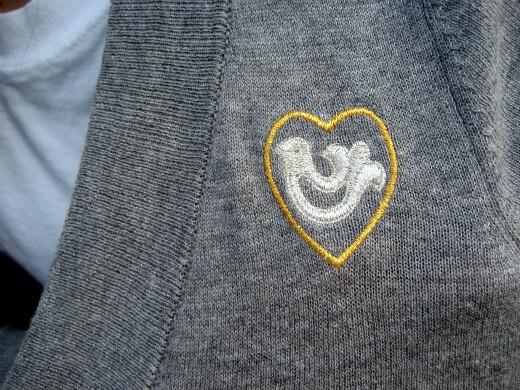 This is a gray cotton cardigan with gold and silver embroidered bird motif from MARC BY MARC JACOBS. Patty,please send a mail to us. I will mail to your address! 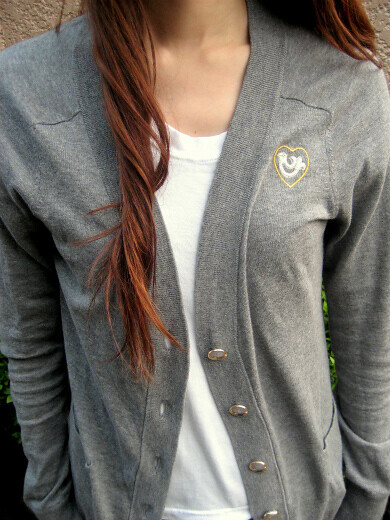 I’ve only seen the bow embellished cardigan but not this!